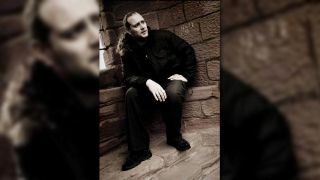 Bolt Thrower drummer Martin ‘Kiddie’ Kearns has died suddenly at the age of 38. The Coventry death metal outfit’s sticksman passed away peacefully in his sleep after taking unwell at rehearsal. In a statement, Bolt Thrower say: “With the heaviest of hearts, and still numb from shock, we have to share the very sad news that on Monday, Bolt Thrower lost our powerhouse drummer, Martin ‘Kiddie’ Kearns. “After the first rehearsal for our upcoming tour of Australia, Kiddie suddenly felt unwell which continued throughout the night, and the next day he passed away peacefully in his sleep. “He was a fantastic dad, husband, son, friend, but to us he was always Kiddie, the same 17-year-old Coventry kid whose drumming style and personality blew us away when he first walked into our rehearsal room more than 20 years ago. Bolt Thrower headlined last year’s Damnation Festival in Leeds. Damnation promoter Gavin McInally tells TeamRock: “That is really devastating news. “Martin was a genuinely lovely guy and the band are the most down-to-earth headliners we’ve ever had. They have such a DIY ethic and were never interested in the money or contracts. “I’d been trying to book them for 10 years and when they finally agreed in 2014, they sold the festival out. They were responsible for selling 4000 tickets on their own. Their attitude was so refreshing. If all groups were as easy to deal with as them, it would make running a festival a much less stressful job. According to Black Conjuration Fest, Bolt Thrower’s Australian tour has been cancelled and fans who bought tickets will be refunded.